The perfect Virginia Beach Golf trip for golf groups that want a little more room to spread out after golf. Virginia Beach Resort Hotel and Conference Center is a great choice because of it’s centrally location, beautiful bay views and great price. 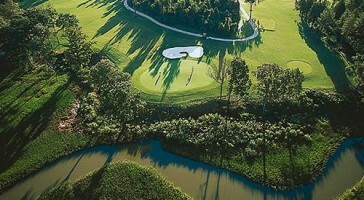 Request a custom “Suite Life” golf vacations and play your choose of a dozen nearby Virginia Beach Golf Courses. 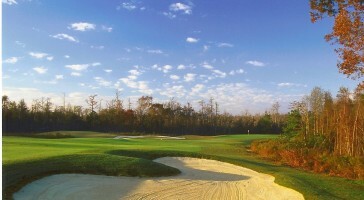 Are you looking for Virginia Beach Golf hotels? The “Suite Life” is our Virginia Beach golf trip that highlights multi-room suite accommodations at the Virginia Beach Resort Hotel and Conference Center. 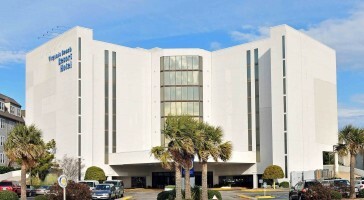 This full-service hotel with its own private beach is centrally located to most area course, just 40 minutes from the very popular Bay Creek Resort and 20 to 30 minutes from other popular Virginia Beach area golf courses. Golf groups love their spacious multi-room suites with separate bedroom and living areas, plus kitchen and bay view balconies.